Taco Bell wants you to add your voice to a campaign for taco emoji. "Why do pizza and hamburger lovers get an emoji but taco lovers don't?" Taco Bell asks. With a Change.org petition combined with a furious social media campaign, Taco Bell is trying to make taco emojis a reality. 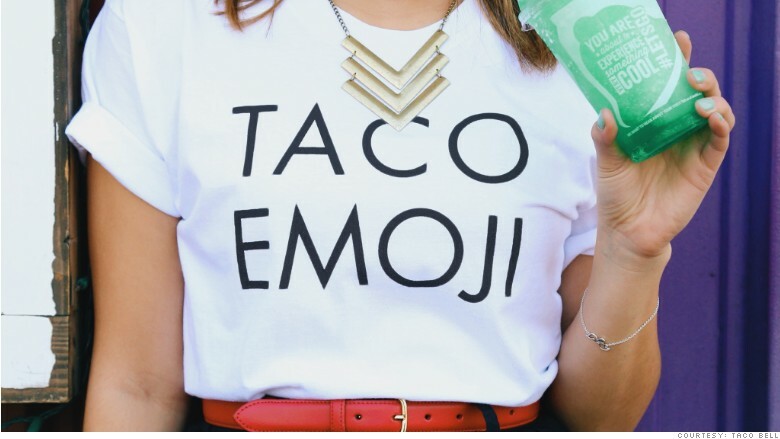 Nearly 27,000 people have signed Taco Bell's online petition, and the fast food chain unveiled "Taco Emoji" t-shirts on Thursday. The taco emoji campaign might seem random, but it's actually based on a looming update to the emoji system. Unicode Consortium, a non-profit organization that regulates emojis among other computer text, announced in November that 37 candidates for new emoticons could be added as part of a code update scheduled for June. 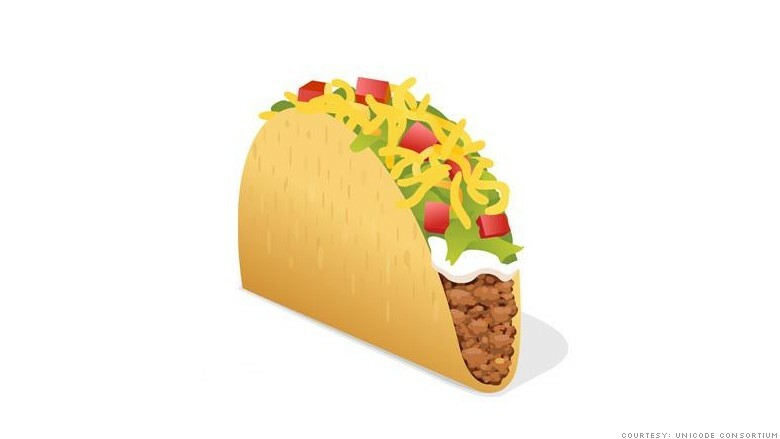 Taco Bell's campaign began in November, but the company says it won't declare victory until the Unicode Consortium creates a taco emoji for the masses. "We need your help convincing them," reads the petition from Taco Bell, which is part of the restaurant company Yum Brands (YUM). "America wants a taco emoji. America needs a taco emoji. Help us." Taco Bell claims that its customers "have been asking for a taco emoji for years." Current food and drink emojis include beer, wine, coffee, ice cream, a donut, a hamburger, an egg, pizza, french fries, a steak, a loaf of bread, and various fruits (no vegetables). Tacos could be added among six other food items, including a hot dog, a burrito, a bottle with a popping cork, popcorn, turkey, and a cheese wedge. Those foods made up six of the top seven most-requested emoji, according to Unicode. One other on that list: a unicorn face.